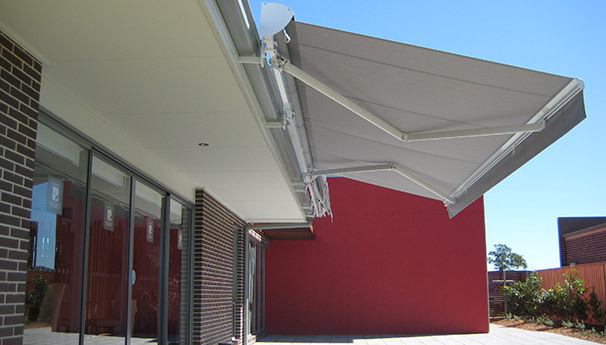 We provide shade solutions for residential, retail and commercial businesses including schools, cafes and child care centres throughout Newcastle, the Hunter Valley, Lake Macquarie and the Central Coast. We can extend your outdoor living area, protect you from the elements - sun, rain or wind, provide a stylish shade solution to suit your needs and offer up to 99% UV protection. You can also view our latest work on our Facebook page where we have uploaded comments and photos of the projects we have recently completed. We are already experiencing high demand for the warmer months ahead! Don't miss out on securing your shade product for this summer - contact us for a quote. Lead times for projects are currently 6-8 weeks and we will close-off our orders for this year around the end of October. Please note: Shade Sail projects will recommence in Feb 2019 due to high demands on our schedule during the summer months. We offer a high quality range of shade products and only use suppliers and partners who have continuously proven reliability and quality over many years. We make sure that we present the right product for the right situation. Folding Arm Awnings are a flexible and versatile choice for outdoor shade. We have a range of motorised and non-motorised outdoor awnings that can be installed with a cassette or hood and plenty of fabric options to choose from. We have procured a few select ranges to suit various budget types and considerations. 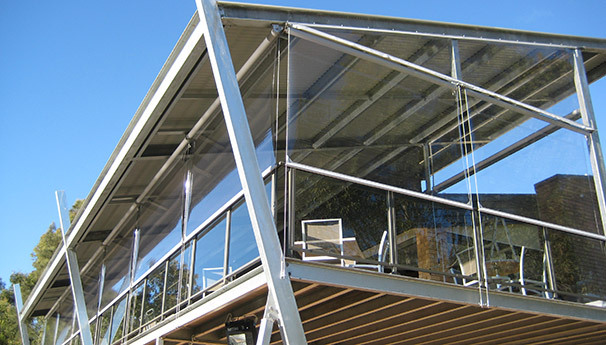 We are a distributor for Markilux awnings in the Newcastle region. Take a look at our Photo Gallery for folding arm awning projects and view some videos of our folding arm awnings in action. We have completed many projects around Sydney, Central Coast, Hunter Newcastle and Lake Macquarie region so get in touch if you would like further information. Outdoor blinds are a great way to create or extend your outdoor space. Control air flow, light and the temperature of your area with outdoor blinds. 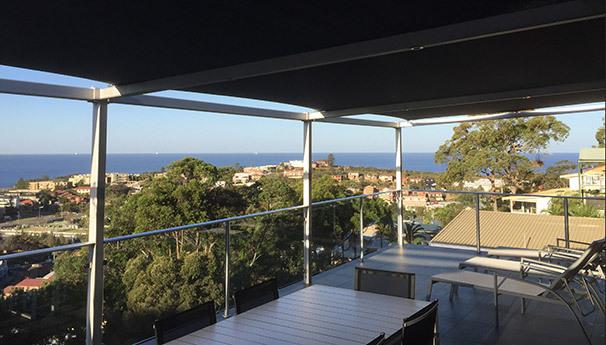 Shade mesh outdoor blinds will provide shade from the sun whilst allowing air to travel through creating a comfortable and very usable outdoor area. Clear PVC blinds are great for full weather protection and extending outdoor seating capacity in cafes and restaurants. They come in various styles such as straight drop, wire guide or channel blinds. Enjoy the functionality and elegance of Ziptrak® blinds. No wires or cords to deal with, the discreet track profile enables the fabric to glide smoothly and easily, stopping anywhere along the track. Ziptrak® blinds come in clear or tinted PVC and a large range of fabric options to select from. We have installed many Ziptrak® blinds in a variety of applications. Please take a look at some of our recent Ziptrak® blinds projects or contact us to find out more. Read our case study about the installation of Ziptrak® outdoor blinds at Myrtle House Cafe at Wollombi. A well designed custom shade sail can transform an area into a more usable space and provide much needed shade. Still a popular choice for around a pool, the aesthetics of a shade sail can't be matched - view our shade sail photo gallery. Ensure that you get quality advice when installing a shade sail to avoid the pitfalls and dangers of poor installation. As a licensed builder, we can ensure that the right materials and construction considerations are adopted. To ensure longevity and a product that will last, we use Tenara thread and Rainbow Z16 fabric which offers the ultimate UV-R and UPF protection (up to 99%). Check out the colour range available. Our umbrella range suits quality domestic and commercial applications including cafe's restaurants, hospitals, clubs, etc - see photos of some projects we have completed. Our range includes static umbrella and portable umbrella options together with cantilever varieties to maximise usable space underneath. 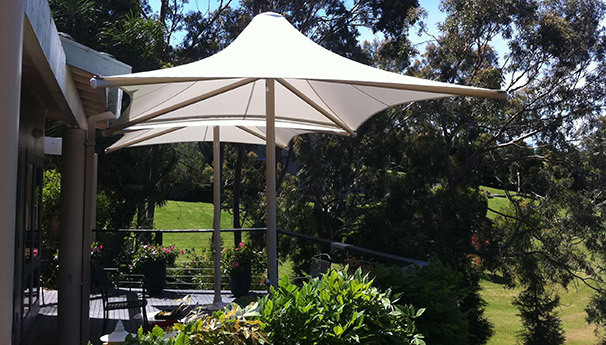 We are distributors of Skyspan umbrellas for the Hunter region. Please contact us for further information or to get a quote for your outdoor umbrella.